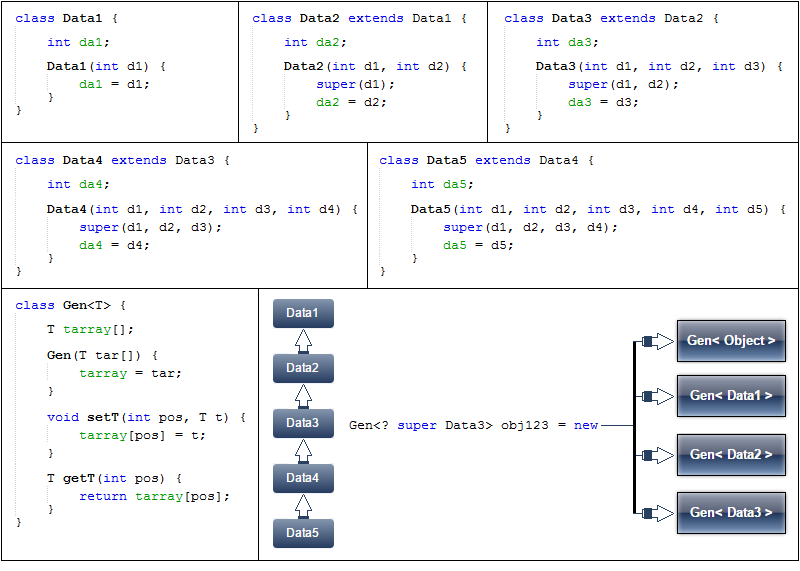 The wildcard instantiation Gen<? 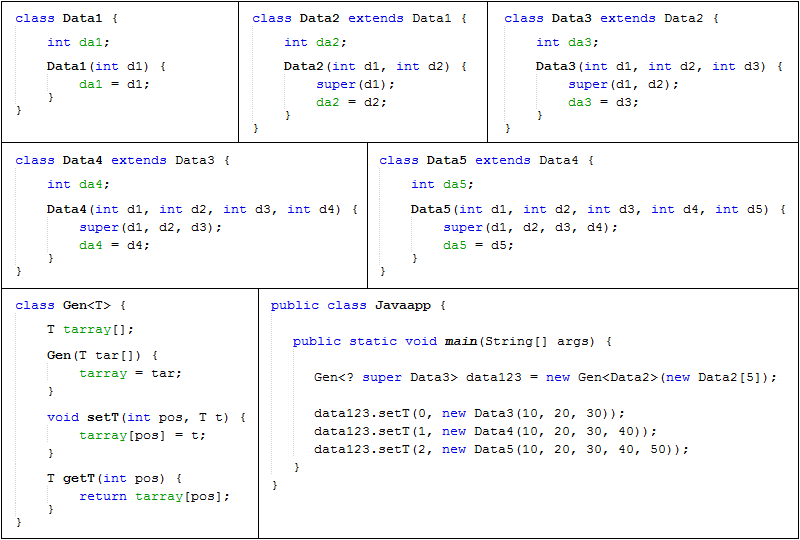 super Data3> obj123 creates a type that can hold any instantiation of Gen on the type Data3 or any of its supertypes. That means the wildcard type can be assigned one of only four types: Gen<Data3> , Gen<Data2> , Gen<Data1> or Gen<Object>. We have cut off the object inheritance hierarchy after four generations. No further subclasses of Data3 can be used.